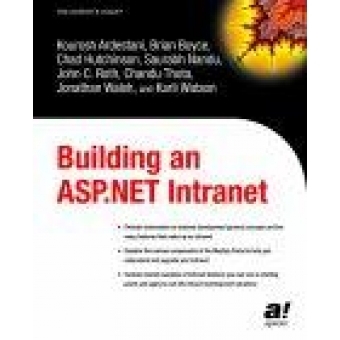 This book uses ASP .NET and Visual Basic .NET to develop an intranet application that provides all of the features that users expect. The author base the sample intranet within the book on Microsoft?s free best practices example, the IBuySpy Portal, and show how one can rapidly create an application that makes good use of the advanced features of ASP .NET.A full explanation of the IBuySpy Portal architecture is provided, allowing readers to get the most out of the product. The authors look at how to customize existing portal modules as well as building some of their own. Along the way, readers will learn a wealth of techniques for ASP .NET development ? everything from making effective use of stored procedures through to integrating with Windows security and creating an advanced user interface with ASP .NET Web Controls.